Steve Evans is in trouble with the FA once again. 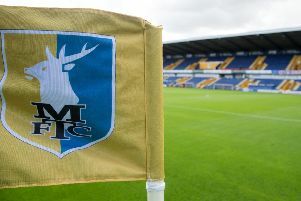 Former Mansfield Town manager Steve Evans has been charged by the FA with improper conduct and language towards a referee. It follows Peterborough’s 4-0 drubbing by promotion rivals Luton Town. Evans, who has until 6pm on Friday to respond to the charges was angered after referee David Coote’s sent off ex-Stag centre-back Ryan Tafazolli.